lightharmony Neist Point, Scotland. It was one of my most impressive shooting experience when the very morning light looked so promising. It unexpectedly turned into the violent storm, which suddenly passed over leaving me and my equipment totally wet and freezing but with a couple of strong images. It was amazing to witness such an epic performance of the mother nature and its elements, and I only hope that I achieved to capture a fragment of it at least. This is the last shot with the storm leaving on the horizon. 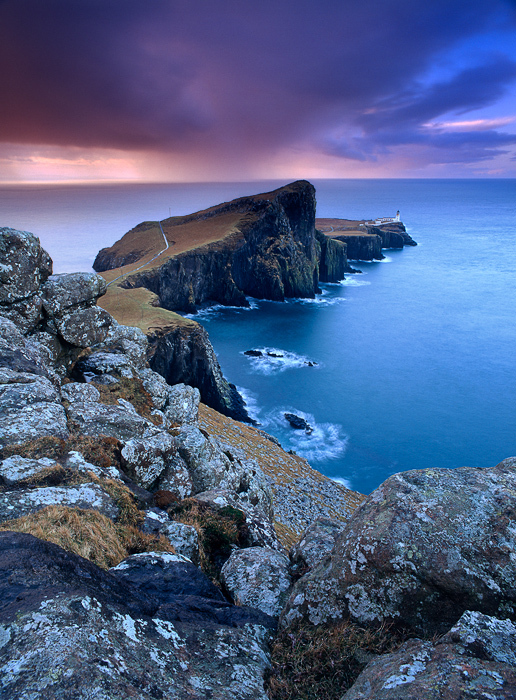 Neist Point, Scotland. It was one of my most impressive shooting experience when the very morning light looked so promising. It unexpectedly turned into the violent storm, which suddenly passed over leaving me and my equipment totally wet and freezing but with a couple of strong images. It was amazing to witness such an epic performance of the mother nature and its elements, and I only hope that I achieved to capture a fragment of it at least.